If we had to pick an insect to represent the vital importance of today’s types of digital marketing (and really, who isn’t thinking of insects all the time? ), it would definitely be the tiny bumblebee. This is because there is so much buzz about digital marketing that it can be kind of hard to hear what you need to know over the hum. And no marketer wants to get stung. Read on to find out how to break down the different types of digital marketing and make your own marketing efforts sweet as honey. Hungry? Several important types of digital marketing can all be rolled into one big bowl of alphabet soup. Acronyms are big in marketing, but SEO is bigger. SEO stands for search engine optimization, the process of ensuring your website is “found” by the major search engines, like Google. Which then results in your target audience finding you, too. Optimization is a process, and it’s not as easy as just stuffing some keywords into every few lines of text, but it’s so essential and so important. And, you CAN master it! Another important mouthful of alphabet soup contains PPC, or pay-per-click. This is a big type of digital marketing these days, though it does involve a financial outlay (thus the “pay” in the name). Pay-per-click revolves around you strategically placing ads on sites (including social platforms such as Facebook). You then pay when… tah dah!… someone clicks. That person is taken to your carefully crafted landing page, offer, blog, etc. Old school content of newspapers, magazines, and published papers may feel, well, OLD. But the general category of getting news to people isn’t going away. Digital marketers just have to adapt – and fast – how they now get that necessary content to the audiences that are hungry for it. Content marketing is one of the most important types of digital marketing, but it’s so much more than just publishing words on your website. You can craft quality content to merge well with your OTHER digital marketing efforts, as support. No, digital marketing wasn’t born in 2017, but every year seems to bring its own cream of the crop. The “class of 2017” is very heavy on interaction and thrills, possibly due to how heavily the social marketing world now leans to having to have everything as fast, soon, and live as possible. Optimized content. This means that digital marketing trends in 2017 are leaning toward focused, targeted content, not just everything and anything splashed everywhere. Strategic thinking about what prospects and customers need most send you to the front of the class. Analytics, data, numbers, algorithms. Called “Big Data,” this type of digital marketing relies on going nerdy. Automate everything! From workflows to customer response funnels, 2017 is the year to get help from marketing automation. Optimization is still on the list, even though it’s made appearances for the past few years. If you’re not actively working within search engine regulations to get near the top of results pages, your customers are not finding you. Cross-platform and mobile marketing. You need to make sure your content – previously just seen on big desktop screens – works well with tablets, cell phones, and even wearables. And make sure it follows people as they flit from one platform to the other so you never lose a customer. These may be the Big Six, but there are new platforms emerging every day. It doesn’t mean you need to spend your entire time learning them and engaging in them, but your audience is spending IT’S time here, which means you do need to, too. When you master this type of digital marketing, you get to engage with your audience. In fact, it’s one of the only platforms that actually make this possible. Social media allows interactions such as comments, questions/answers, polls, videos, reviews and testimonials, tutorial clips, instant feeds, mini movies, and more. It’s a real-time tapping into the brains of your customers and prospects. Someone posts a problem he encountered with your product? You can immediately address, and hopefully resolve, the situation, by responding with answers, assistance, and offers to make the situation right. OK, now that we’ve explained a bit about the different types of digital marketing, we’d like to hear from you! Share in the comments below your favorite type of digital marketing platform. It could be the one that’s brought the most return on effort for you and your company, the one that nabbed you the most followers, or the one you are able to enjoy the most community engagement when you use it. Also, if you’re running into some blockades with a type of marketing effort, share that too. Have you ever felt a nasty bee sting? Has one type or some types of digital marketing made you want to run for cover? We can all work together to help each other conquer digital marketing and rise to the top! 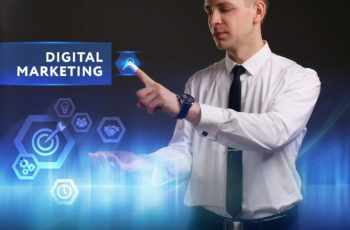 Are you using any of these digital marketing strategies? Let us know by leaving a reply below!